Madoka Tsutsumi (Sota Fukushi) is a university student. He rarely expresses his feelings and he has never done an impulsive act in his life. One night, he sees an old man and a pink rabbit struggling physically. The pink rabbit seems surprised and asks Madoka if he can see them. The pink rabbit then introduces itself as the Angel of Death and says the old man is a ghost who died yesterday. Madoka, who begins to see things that he isn't supposed to see, gets involved with the Angel of Death Nabeshima and Angel of Death colleague Yuzuko. Madoka works to solve dead people's regrets and let them go in peace. With senior Sachi Aguma (Tao Tsuchiya), Madoka lets the spirits of dead people posses his body and solve their regrets. Based on manga series "Omukae Desu" by Meka Tanaka (published from March, 1999 to March, 2002 in monthly Japanese shojo manga magazine LaLa). Fizerman Oct 20 2016 7:51 am I rate this as 3/5 Kind of good. In the end I think the plot built nicely. The chemistry between Sota and Tao and is okay. hannasj Jul 16 2016 12:59 pm I would give this series thumbs up for its interesting story line. As the main lead, well Sota's acting definitely improved and I think this kind of awkward loner suit him more rather than outgoing one. Tao...well she is a hit and miss actress for me. but I think that also depends on her character. lets just say her acting here is not that recommendable especially when you put her next to Mugi Kadowaki which makes her acting capability seems more off than usual. The chemistry. well I can't believe i would say this but Sota-Mugi have more palpable silence chemistry than him with Tao which seem forced. it caught me by surprise how i like Mugi over here cause I always avoid her work and not fond of her personally because of the daring project she chose before. By the end of the series I ship Madoka with Aguma more than Sachi. crystalysia Jul 05 2016 7:02 am okay, in responds to my comment below, I finally give this drama a try and I'm satisfied!!! 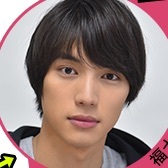 Fukushi definitely go far in improving his acting! 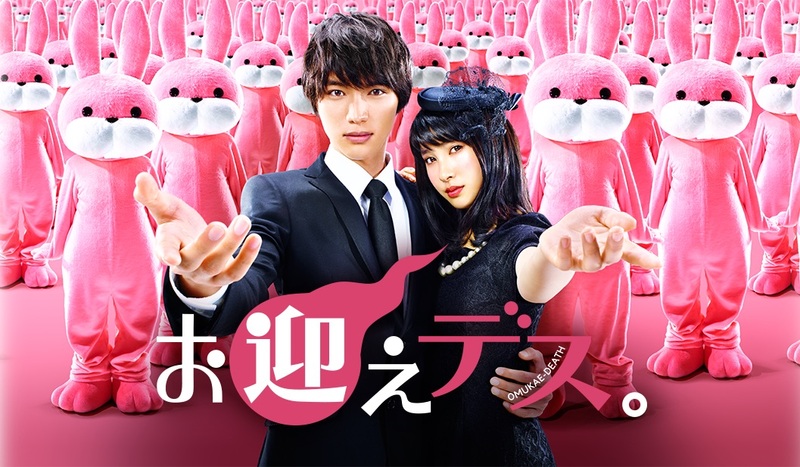 he is dork till the end and such a cutie LOL He even made me believe that he indeed possesed by ghosts.. :) and this drama also made me love Tsuchiya Tao since my first impression on her in movie "Orange" wasn't that good.. she definitely suits ballsy girl character more.. Fukushi and Tsuchiya chemistry is very good..
F Jun 24 2016 12:42 am I give a nice rating since this dorama can move me with tears at the baseball & old sensei in university episodes. For romance, I don't think the 2 main leads can grow love interest in short moment like that. It seems everyone forced them to love each other by saying, you actually love that girl/boy. But this has balance amount of comedy and sad story so it's good to spend time with this dorama. catt Jun 13 2016 1:39 am I can't believe this manga get live action!! XD I ship madoka-aguma so hard. I hope this will be much more romantic than the manga. kwon May 18 2016 11:31 am Does anyone knows how many episodes it would be? 10 perhaps? /sighs/ The live-action is so interesting and frustrating at the same time. :3 HAHAHAHA. Hoping for more awesome eps.